“The administration has scuttled or weakened several standards that help the U.S. Occupational Safety and Health Administration (OSHA) protect workers,” states Public Citizen in Workers Left Behind Under Trump’s OSHA. The report contends that since Trump entered the White House, OSHA has been hampered by a lack of leadership, including the absence of a permanent administrator, as well as the lowest staffing level in decades. OSHA also lists vacancies for chief of staff and senior advisers. Meanwhile, as of January 2018, the number of inspectors declined from the previous year from 814 to 764. The low staffing levels are attributed in part to the hiring freeze the president implemented early in his presidency. “According to Jordan Barab, former OSHA Deputy Assistant Secretary of Labor, some of OSHA’s regional staff cautioned that in the wake of the hiring freeze, OSHA’s enforcement and whistleblower programs were ‘falling apart at the seams’ and OSHA was ‘just bleeding,’” says Public Citizen. The Obama administration issued the Fair Pay and Safe Workplaces Executive Order (EO) in 2014 to require that federal contractors comply with workplace laws—including health and safety standards, wage laws, and civil rights laws—to be eligible for new federal contracts. In spring 2017, Congress and the Trump administration used the Congressional Review Act to overturn the EO, citing excessive costs and burdens. “In truth, the real cost is the one to taxpayers, as the government potentially contracts with unsafe establishments on the public dime,” states Public Citizen. In January 2017, OSHA issued a rule to modernize the beryllium workplace exposure limit in general industry, construction, and shipyard trades. The rule included new or revised provisions addressing personal protective equipment and medical monitoring. In summer 2017, OSHA proposed to rescind the portions of the standard that would have provided additional protections for construction and shipyard workers and delay the deadline for compliance with the remaining protections for construction and shipyard employees by 1 year. 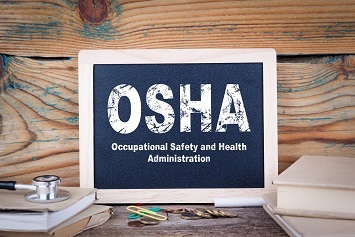 In March 2018, OSHA proceeded to delay enforcement of the primary standard that applies to all other workers by 2 months. In June 2018, OSHA proposed delaying implementation of certain supplemental requirements for nonshipyard and construction workers by 9 months. “Delaying the implementation of these vital protections would allow employers to continue to expose workers for an extended period to levels of beryllium that even OSHA acknowledges are harmful to health,” states Public Citizen. The report also discusses the absence of OSHA standards covering heat stress, as well as risks to healthcare workers and meat-packing workers. Public Citizen notes that while the Occupational Safety and Health Act’s (OSH Act) General Duty Clause is “well-intended” and can be used to take enforcement action against an employer even in the absence of a federal standard, the evidentiary burden to uphold employer violations of the Clause is much greater than would be the case when enforcing a specific standard.